There was so much Monty Williams wanted to say. 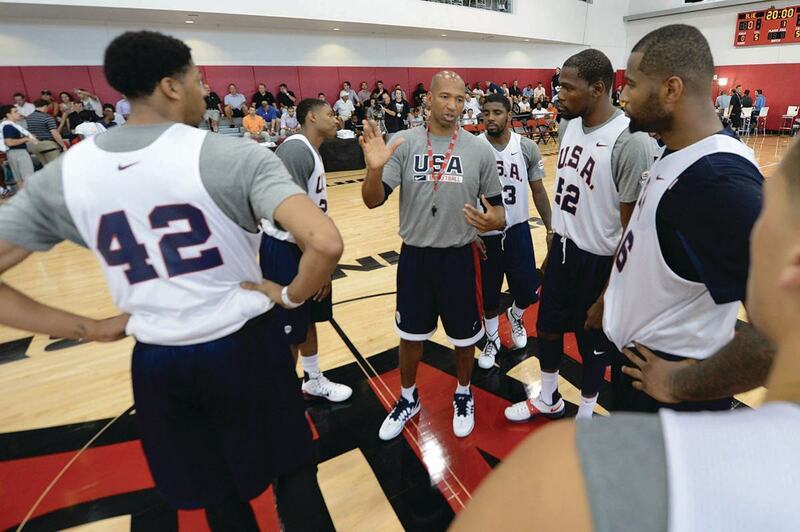 Williams is living out a dream coaching the NBA’s New Orleans Pelicans and assisting Duke University coach Mike Krzyzewski with Team USA. 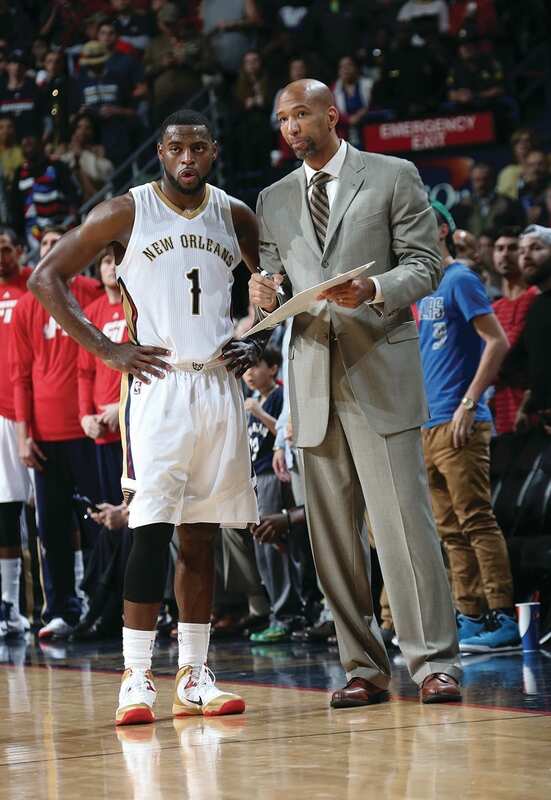 He’s mentoring perhaps the game’s brightest young talent in Pelicans power forward Anthony Davis. He’s happily married and the father of five. Yet Williams, 43, knows with certainty that all he holds dear is due to the love, grace, favor and power of the Lord. His life has been extremely difficult at times. He could be dead. He could have killed himself. He suffered neglect, physical abuse and sexual molestation as a toddler and pre-teen. Nightmares were a way of life. At age 10, he heard the salvation message in church, accepted Jesus as his Savior and was baptized. He excelled academically and athletically in high school and landed a basketball scholarship to Notre Dame. His freshman season in 1989-90 went extremely well—then, suddenly, his career was halted. Mere months after Loyola Marymount basketball star Hank Gathers died of a heart ailment during a March 1990 game, Williams was diagnosed with hypertrophic cardiomyopathy, a rare heart condition that also can result in sudden death. Told that he’d never play basketball again, Williams contemplated suicide, but instead leaned on his faith and the spiritual encouragement he received from the girlfriend he would eventually marry, Ingrid. As the Bible instructs in James 5:14-15, church elders gathered to anoint Williams with oil and to pray for his healing. Holding to the promise in those Scriptures, he trusted God to resurrect his career. For two years, Williams waited for his prayers to be answered, continuing to play basketball privately despite the risk. He realized during that time he had made hoops his god, that he’d never truly had an abiding personal relationship with Jesus. So he surrendered himself to the Lord more fully than ever before, giving God reign over his life, regardless of his basketball status. Before the Irish’s 1992-93 season, Williams was re-evaluated by doctors and the miracle manifested: He was cleared to play again. His return was spectacular. He had a solid junior season, then averaged 22.4 points and 8.4 rebounds per game his senior year at Notre Dame and was selected by the New York Knicks in the first round of the 1994 NBA draft. 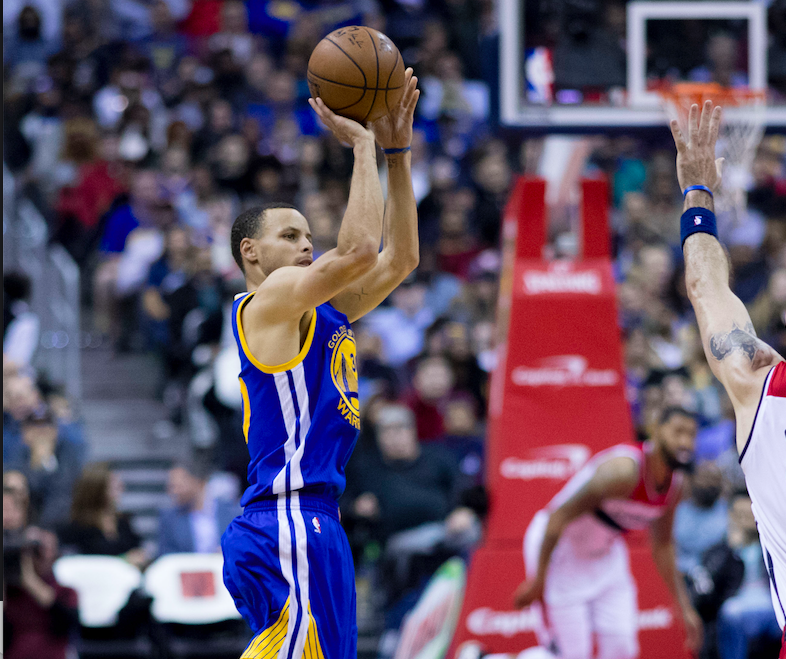 He went on to have a nine-year pro career with five teams, averaging 6.3 points per game. 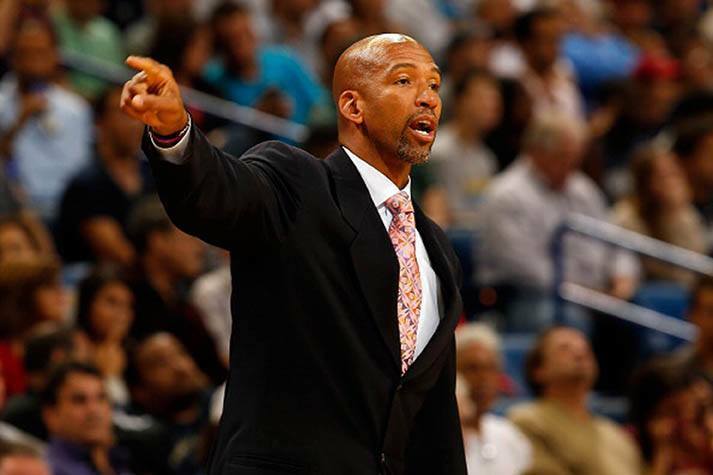 Next came five years as an assistant coach in the league before the Pelicans hired him as their head coach in 2010. Looking back now, Williams sees the value of the two lost seasons at Notre Dame. His relationship with the Lord was fortified, and the waiting period that seemed so long ultimately brought glory to God. Williams still hopes to lead the Pelicans to championships. After making the playoffs his first season at the helm, they missed the post-season the next three seasons and are now trying to stay in the hunt for one of the eight spots in the NBA’s tough Western Conference. With the team’s record around .500 much of this season, there have been times when Williams’ job security has been questioned by fans or the media, but he chooses to put his focus elsewhere. “I don’t listen to any of it,” he says. “I hear about it second-hand if my friends get aggravated by somebody talking bad about me. But the Bible says, ’Faith comes by hearing and hearing by the word of God’ (Romans 10:17). I’m not going to build up my faith listening to negative people say bad things about me when they don’t even know me and they don’t know the situation. 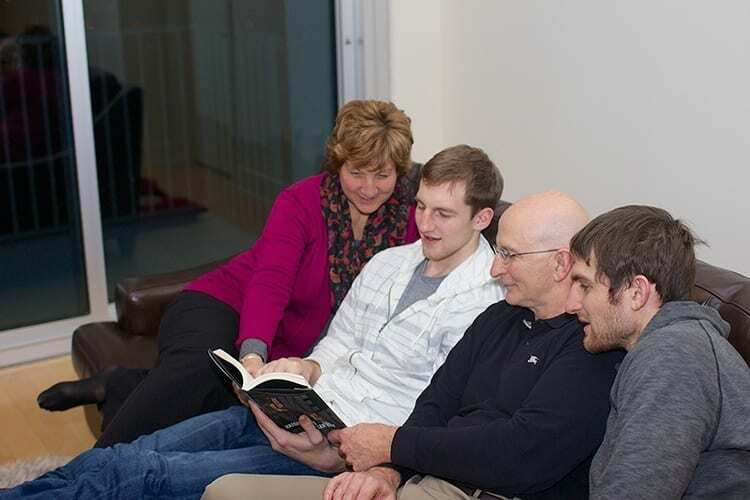 Williams begins each day reading Scripture and praying. Williams is blown away by how he’s experienced God’s favor in his life. One of the most profound ways that’s happened is his inclusion on the USA Basketball coaching staff through the 2016 Summer Olympics. During offseasons, Williams assists Krzyzewski with the national team, which features top NBA stars. The other assistants—Syracuse University coach Jim Boeheim and Chicago Bulls coach Tom Thibodeau—have more decorated resumes than Williams. Williams had no connection to or close relationship with Krzyzewski, making his selection for the position in June 2013 especially surprising. Williams tries to be a good steward of the influence he’s been given with his New Orleans players, including being open and non-apologetic with them about his faith. “My players know where I stand on a lot of issues just based on how I deal with them,” he says. “They know I’m not perfect, yet they know that I care. They know they can come and talk with me in confidence about any issue. Williams regularly leads the Pelicans in prayer, choosing not to give in to outside pressures or political correctness. But he tries to do so with sensitivity, saying the team’s non-believers have not complained about the practice, which is voluntary. “When I talk with those guys about it, they don’t mind at all,” he says. Away from the court, Williams and his family try to carry the love of Christ to the New Orleans community. He’s received some publicity for his ongoing work at a local homeless shelter, but says he prefers to be involved more privately. “We try to keep those things under wraps,” he says. “I’m very mindful that when you try to put yourself out there as some charitable, pious guy as far as giving is concerned, that’s not what the Lord is looking for. Williams knows what it’s like to feel helpless, and he’s able to encourage others with the hope he’s experienced. Charles Chandler works for the Billy Graham Evangelistic Association’s Decision magazine and is a former Charlotte Observer sports reporter who covered the Carolina Panthers and the NFL for 17 years. This story is taken from Sports Spectrum’s Spring 2015 print issue. Log in HERE to view the issue. Not a subscriber? Subscribe HERE to receive eight issues of Sports Spectrum a year.